Glasgow’s James Benedict seems to have come out of nowhere. Suddenly he’s making music for quality imprints like Savoir Faire Musique, Limitation Music and Deep Clicks to name a few and that caught our attention. Let’s be honest, it does take something extra for new producers to get noticed but this guy is talented and got what it takes. 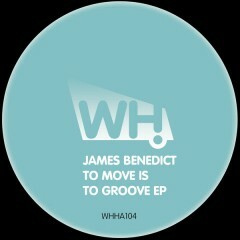 We are pleased to bring you his first ever 4-tracker called To Move Is To Groove EP. Arguably his finest work to date and something we know he has put a lot of effort into. 4 tracks that stand out in their own right and cover the deeper end of the house music scale to perfection.